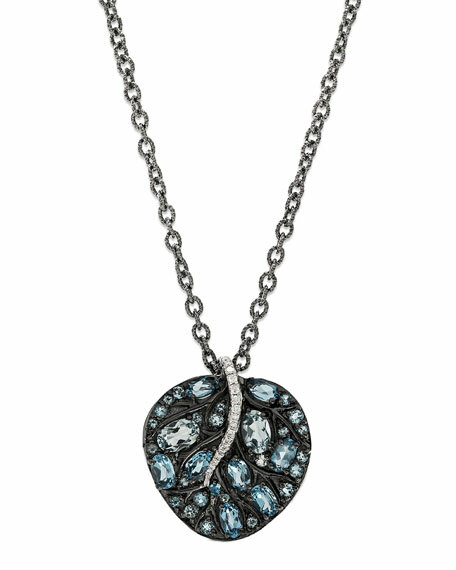 Michael Aram "Botanical Leaf" pendant necklace. Faceted blue topaz with briolette details at chain. Pavé white diamonds trim center. 0.187 total diamond carat weight.